Shunt truck rentals has become a popular feature with both our carrier and private fleet customers. Shunts are available on a short or long-term basis and we have a large inventory to choose from. Customers generally rely on our shunt truck rentals to supplement their equipment during peak seasons, to temporarily sub in for equipment being serviced or to free up their assets for other applications. 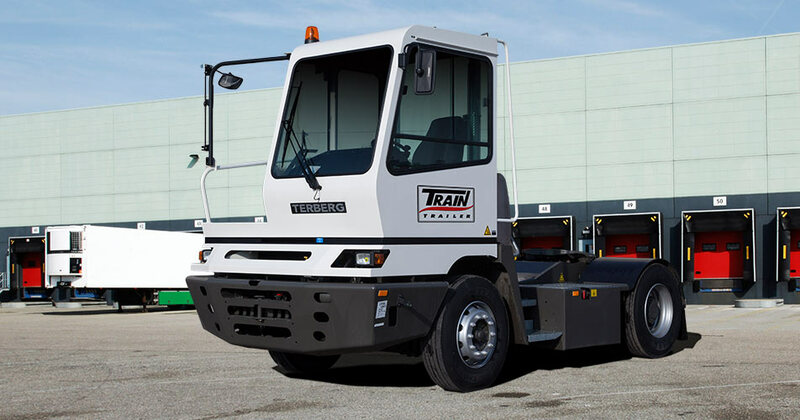 Designed for moving trailers in distribution centres, transport depots, container terminals and airports, Terberg Shunt Trucks are the perfect choice for almost any operation, big or small. Whether you're looking to rent, lease or buy, we can accommodate almost any request and are more than happy to tailor a plan to fit your company's individual needs. For more information on Terberg Shunt Trucks you can contact James Currier via phone 647.393.4414 or email jcurrier@traintrailer.com, download the Terberg YT-Series Brochure or visit the Terberg website.